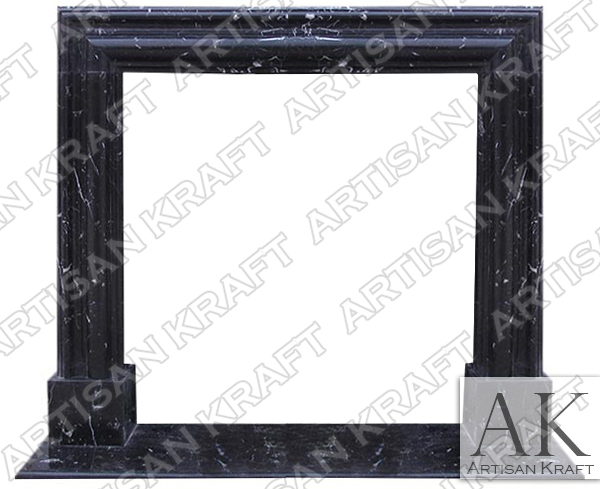 Stunning and bold frame mantel in the Nero Marquina marble. Available for immediate delivery. More information can be viewed about this modern fireplace by clicking on the link. Simple frame design that can be made from various materials. We can custom made this mantel to your dimensions. The Francisco is another of our Bolection style mantels. This Black Marble Modern Fireplace can be viewed in our showroom located in Chicago, IL. The Fransisco gets its name from the beautiful city of San Francisco, California.